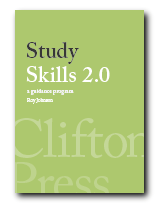 Study Skills covers every aspect of study skills – reading, writing, research, revision, exams, and even presentations. Learn how to absorb information quickly. Study effectively by using good time management skills. How to digest books and summarise their contents. Suitable for all students in further and higher education. Runs in any Web browser. Latest version allows you to customise screen fonts and background colour. You can empty the shopping cart later if you change your mind. 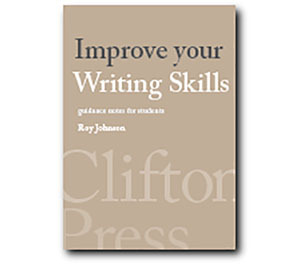 Dr Roy Johnson is the author of best-selling writing and study guides – Studying Fiction, Making the Grade, Improve your Writing Skills, Writing Essays 3.0, and several others. He was originally an industrial designer, then went on to lecture on literary studies at Manchester University and the Open University. He publishes a monthly newsletter on writing, culture, and technology, and is the director of Mantex Information Design..